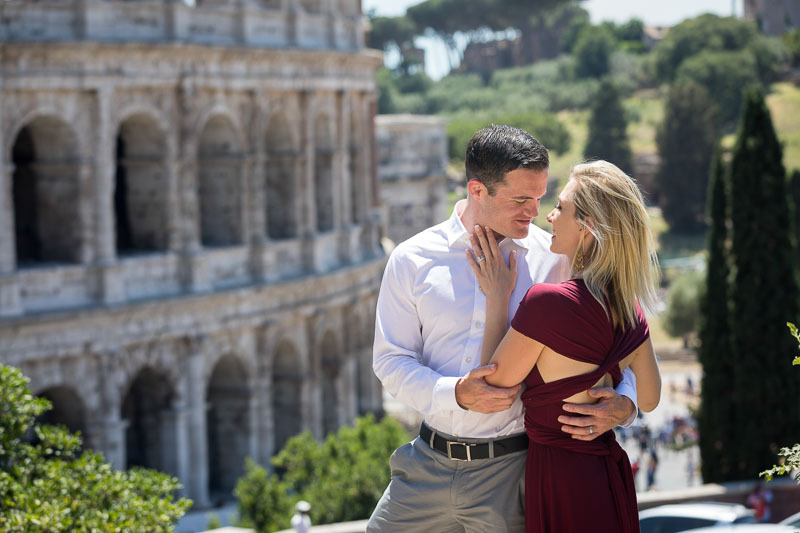 A really beautiful photo shoot which started at the ancient roman Coliseum. Shooting in between colorful blooming red flowers to get a very unique glimpse on this magnificent large roman monument. Then after snapping some nice portraits, we decided to visit the nearby orange garden. To mix up the photo session with another excellent view over the city of Rome. Among orange trees and scenic views. 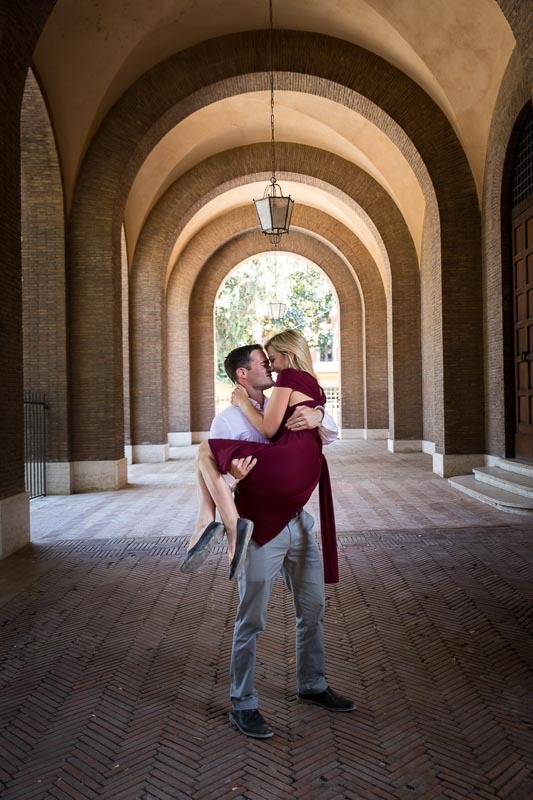 Ending the honeymoon photo session with some romantic photos taken under the portico of Santa Sabina Basilica.